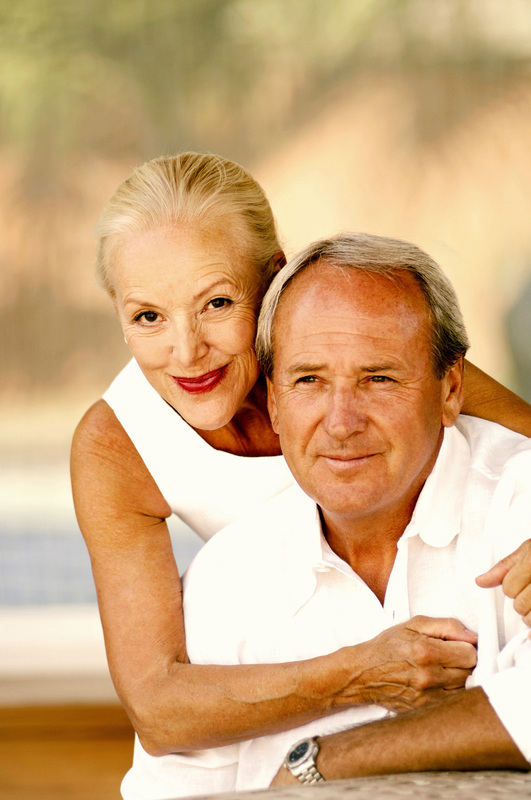 As you age, natural collagen breaks down, resulting in wrinkles and loss of facial volume. Natural collagen is what gives skin a smooth, supple, youthful appearance. When you squint or frown, muscles contract causing the skin to furrow and fold. Over time, as your skin ages and loses some of its elasticity, these repeated contractions can cause persistent lines. Skin cell production slows down as you age. A baby’s skin is remarkably soft and smooth. This is because they produce new skin cells on a daily basis. Slowing the production of skin cells results in an uneven skin tone, fine lines and wrinkles, as well as a rough skin texture. Exposure and genetics come into play. Sun spots, age spots, wrinkles and loss of tissue volume can be enhanced by spending time in the elements – sun, wind, cold climates or by our genetic make-up. Eyelashes become thinner, finer and shorter as we age. As we age and loose skin forms on the face and neck. Friction from clothes, necklaces or rubbing can cause skin tags to form. Fat cells swell as metabolism slows down. Areas of fat pouches form in the abdomen, hips, thighs and waist. Hairs form in areas that may be unwanted such as the lip and chin area for women and ears for men. Androgen hormones, typically found in higher levels in men, are involved in hair growth. As women age and estrogen decreases, “unopposed Androgen” often causes an increase in hair growth in the aging women. Subtle changes begin to occur. Fine lines start to appear around the eyes and on the forehead, these are commonly known as expression lines. Even though most of the skin remains soft and smooth you may notice some acne problems that disrupt the skins integrity. Scarring may even be present from current or previous acne flare ups. Skin tags may start to form, especially in events such as pregnancy. Signs of sun damage begin to appear in the form of freckles, sun spots or brown spots. Broken blood vessels form on the face and legs. Eyelashes begin to thin and loose volume. The fine lines that begin to appear in our 30’s deepen. You may also notice lines around your eyes, called “crow’s feet”, and around our mouth, “marionette lines or commas”,. Lines form from the nose to the corners of the mouth called the “nasal labia fold”. Last but certainly not least the creases know as the “11’s or 111’s” form between your eyes. Fat pouches begin to form especially after pregnancy. Excess hair or hair in unwanted areas begin to form. Expression lines deepen on the forehead, around the mouth and eyes and from the nose to the mouth. Marionette lines can extend from the nose down to the chin. “Smoker lines” form along the line of the upper lip. Cheeks start to lose volume and sag causing “jowls” to form while lips lose volume. Increased areas of fat pouches as metabolism continues to slow. Increases in the amount of unwanted hair in certain areas while losing hair in others. Expression lines continue to deepen. Sun damage worsens and becomes more dramatic. Facial collagen continues to break down causes loss of facial volume. Neck skin sags and loses elasticity. Skin tags continue to form. Enlarged areas of fat. Unwanted hair may start to turn white or gray. Help! What can I do to stop or reverse the signs of aging? Alazzo recommends mico-resurfacing which utilizes a bristle and vacuum technology to exfoliate the topmost layer of skin cells a smoother younger skin tone is revealed. Combining exfoliation with an infusion of product enhances results treating skin conditions such as acne, aging skin, and dehydration. Multiple treatments are recommended to achieve optimal results. Injectables such as Botox™ and Xeomin™ smooth and relax the muscles that cause lines and creases associated with aging. This procedure can be performed over a lunch break. No downtime is needed. Results occur within 7-10 days and last for months. Fillers such as Juvederm, Radiesse and Belotero are specially designed to integrate into your skin and mold to your distinct facial contours. Fillers will adapt to the individuality of your skin. Used to soften lines and wrinkles around the nose and mouth for a smoother and natural result that turns back the years. Longevity of results are individually based but can last 6-9 months. Intense Pulse Light (IPL) Therapy is a broad spectrum of light that pulls darken skin to the surface to be exfoliated off. Our experienced medical professional can also target unwanted vessels causing them to collapse. Multiple treatments are recommended to gain the most favorable results. Get this light therapy in Frederick, MD at Alazzo Med Spa. Your trained professional will evaluate your veins and advise you on the treatment that is best for you. 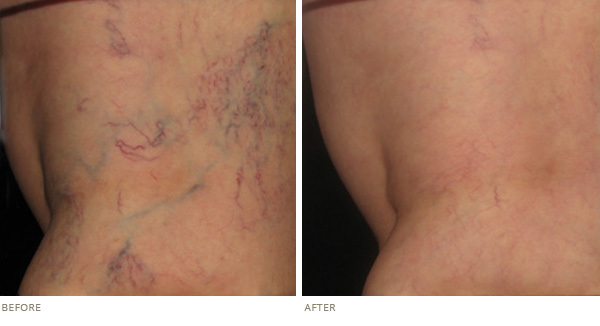 Spider veins or broken blood vessels can be treated in two ways, laser or injecting a sclerotherapy agent into the vessel. Either of these methods are a safe and effective way of removing broken blood vessels. Small vessels on the face are removed using a laser or IPL to heat up the vessel causing it to collapse. Larger vessels on the leg are treated with an injection of Ascelera followed up with laser treatment of the smaller broken vessels. Repetitive friction causes small tags of skin to form commonly known as skin tags. A quick procedure with a local anesthetic can remove these harmless tags with no downtime. Multiple tags can be removed in one setting. Sometimes no matter how much you work out those stubborn pouches of fat won’t go away. With CoolSculpting, you can freeze your stubborn fat right here in Frederick, MD. The CoolSculpting treatment is a unique fat-freexing treatment for men and women that reduces stubborn pockets of fat that diet and exercise may not help. Get rid of your unwanted hair with Laser Hair Removal. Laser energy destroys unwanted hair at the root. We have multiple lasers on site so we can customize your treatments for your hair texture and skin tone. We can treat all skin types, and people. Don’t forget that there is laser hair removal for men, as well. Multiple treatments are needed to achieve maximum results. Results for all treatments vary between individuals. Alazzo Med Spa’s commitment to excellence ensures you that we will do everything in our power to obtain maximum results in all of the treatments we provide. We, however, cannot guarantee a specific result due to the beauty of science in that all of us are created individually and therefore may react differently to a standard of care. Thank you for trusting us with your Ageless Skin. Fabulous experiences always ! You won't be disappointed with any procedure you have done here. I love everything about Alazzo Med Spa! The staff, the facility and the exceptional service.